This Elena Miro twinset, comprising a top and matching cardigan, features a stylish interplay of houndstooth and tweed inspired prints. 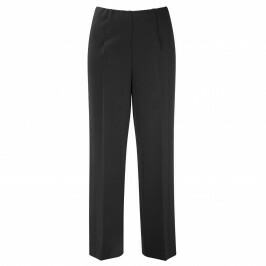 Team with tailored trousers in a neutral shade for an elegant, polished look. Satin front, black knit back and sleeves, twin set. The top is sleeveless. Knit yarn: 64% Viscose, 16% Wool, 16% Polyamide, 4% Elastane. Satin: 100% Polyester. Hand Wash.